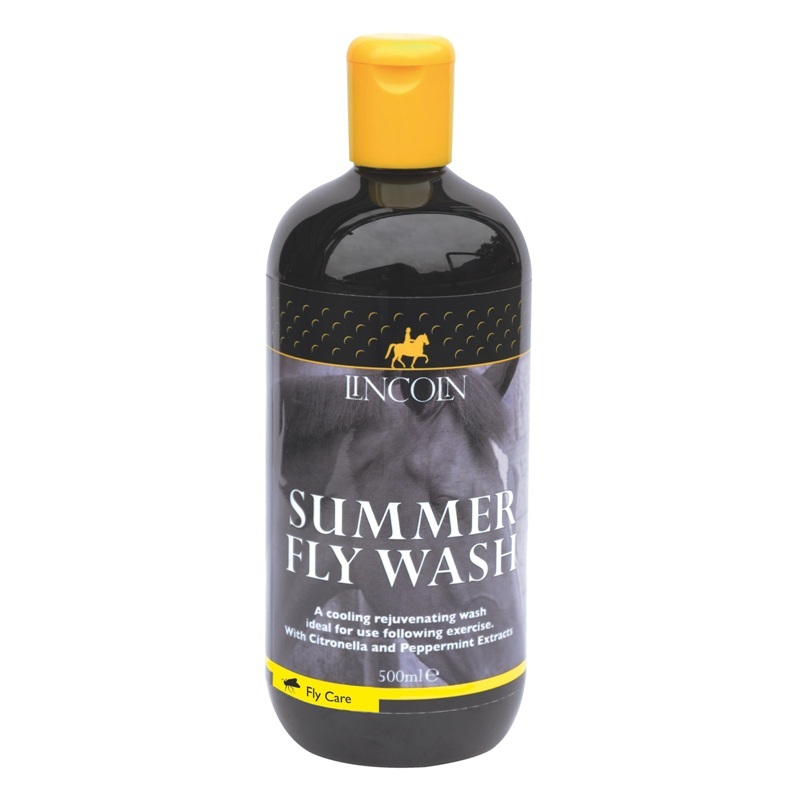 Lincoln Summer Fly Wash is a cooling and rejuvenating wash for horses, ideal for use following exercise. Contains Citronella for flies and Peppermint to cool the skin and to help the rapid recovery of tired and aching muscles. Dilute 100mls in 5 litres of water, then sponge over the horse. There is no need to rinse following application. Ideal size to keep in the wagon to use prior to travelling home.